Helping to bring a future Assassin's Creed game to light is as easy as clicking a button. On April 29, Ubisoft may have accidentally unveiled some hints about a future Assassin's Creed game too early. Shortly after, however, it put the pieces in place on Facebook to make an official announcement. You have to help out though. Head on over to the Assassin's Creed Facebook page, and once you're there click the "Like" button. That's it, you're done. Wasn't so hard, eh? An "activity monitor" is currently filling up as people "like" the page, supposedly leading to the reveal of a title that may be called Assassin's Creed: Revelations. As of this writing, it's 41% full after a couple of days, so in another day or three we should learn what it's all about. 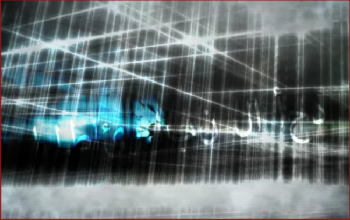 The page is currently showing an animus video of what looks like a blob, and, I guess some lines. Maybe a window. Someone might be near a window, or a lamp. Every once in a while, characters pop up that my brain is just not fast enough to read. Anyway, share the news and get all of your friends to like this page so we can learn where the Assassin's Creed franchise is moving next. The word Revelations implies that something special is going to be revealed in the game, but if that's the actual title, it's notably not Assassin's Creed III. It could be another sort-of sequel thing similar to Assassin's Creed: Brotherhood, which may not have had a numeral attached to it but was still a fun Assassin's Creed game.